Explanation: A new spacecraft has entered the outer Solar System: Cassini. Launched in 1997 and bound for Saturn in 2004, Cassini sent back the above image last week while approaching the giant planet Jupiter. 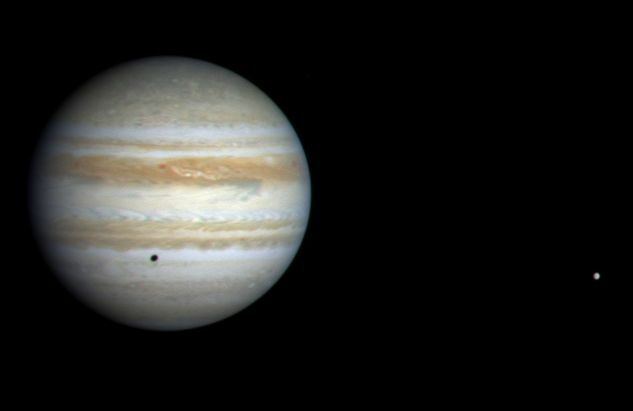 Cassini joins the Galileo spacecraft currently in orbit around Jupiter in studying the gas giant and its moons. In fact, observations involving both spacecraft simultaneously are planned in the coming months. This color picture was taken when Cassini was 81.3 million kilometers from Jupiter. The alternating dark and bright bands characteristic of Jupiter's cloud tops can be easily seen. 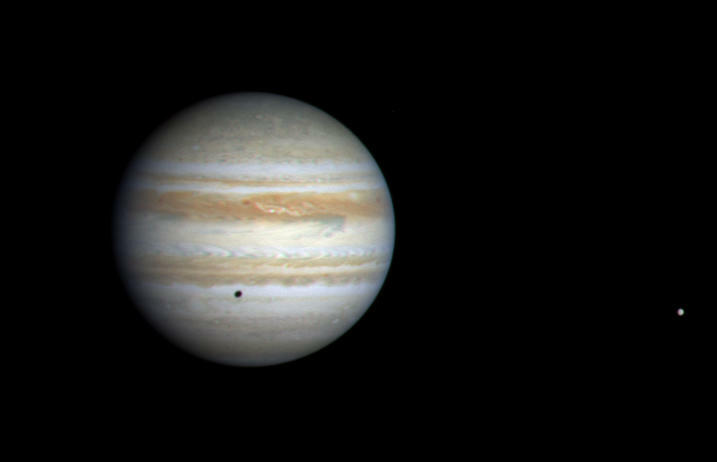 Jupiter's moon Europa is also seen at the far right of the image casting a round shadow on the planet.